If you want to do some changes on your kitchen decorations, the first thing that you should consider is the theme that you want and the theme that you think would be appealing, not just to you, but also for those who will be visiting your kitchen. Kitchen changes should be made in the right way, as this is often the focal point of your house. If you are looking for kitchen themes that will surely look great and will fit your budget, here are some ideas that you might find helpful. a contemporary them for your kitchen can help integrate form and function. You may start by adding geometrical patterns like straight or curve lines in your shelves and cabinet corners. You can also add frameless cabinets, translucent or frosted glass panels, use trendy utensils and cookware and add adjustable task lighting. Adding modern kitchen decorations, dark colored cabinets and using stainless appliances, lighting designs and bright wall paint can also enhance the beauty of your contemporary kitchen. a kitchen with a modern restaurant style can surely make it look contemporary and elegant. Gleaming counters, shiny surfaces and the use of curves instead of corners can bring out the essence of your theme. Make sure to look for modern seating instead of the typical stools with country styles. 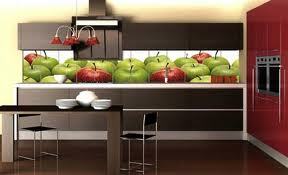 You can also use vibrant colors like yellow and orange can also give your kitchen a more energized look. collecting delectable patterns can help you come up with a kitchen that has a fruit theme. If you are on a tight budget, you may simply collect cookie jars, cups and saucers, dinnerware sets, wall clock, plaque and stained glass panels with fruit designs. For your wall, you can simply use wallpaper designed with mixed fruits, as well as for your tablecloth. 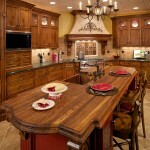 decorating your kitchen with French country theme can bring out lots of fun as well. To achieve the French country look, opt for vibrant colors like yellow and red instead of the usual burgundy or mustard yellow. You can also install ceiling racks made of wrought iron for your pots and pans. As for your kitchen floor tiles and countertops, you can use ceramic tiles as these are your best option. You can also design your table with a farmhouse style to complete the theme.